In a rare interview, Jim Reid of the Jesus and Mary Chain talks to Mary Anne about his childhood, his career as a singer and his relationship with his brother. Formed in East Kilbride in 1983, the Jesus and Mary Chain have been one of the most influential British groups of all time, creatively thriving on the electric partnership between Jim Reid and his brother William. Before breaking up in 1999 they released a chain of seminal albums and EPs, punctuated by short, violent live performances. 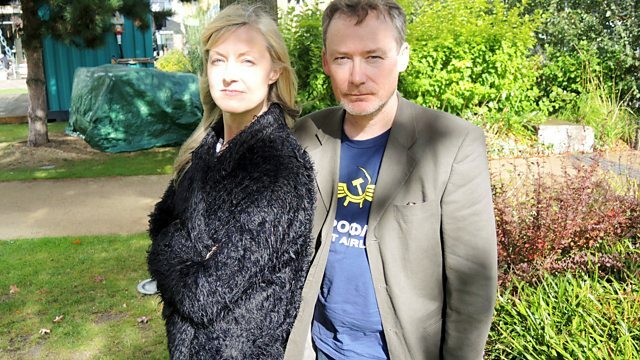 On this show you can hear the first half of Jim Reid's intimate conversation with Mary Anne, discussing his childhood, accidentally becoming a singer, and his ... shall we say 'up and down' ... relationship with his brother. This is an unmissable conversation for any Mary Chain fan. Plus expect your fair share of noisy, poppy, dirty rock and roll. Where Will We Go Part 2. The Take Off And Landing Of Everything.